Home Environment Is Offshore Drilling Worth the Risk? Whether Nova Scotia is at risk of a Deepwater Horizon disaster was the question asked and examined during a speaking tour in Nova Scotia in late March. Hosted by the Council of Canadians in partnership with the Campaign to Protect Offshore Nova Scotia (CPONS) and supported by the Sierra Club of Canada Foundation, Ecology Action Centre and the Clean Ocean Action Committee (COAC), the tour included public meetings in Halifax, Shelburne and Lunenburg, as well as smaller meetings with municipal representatives and community groups. Award-winning investigative journalist and author of Black Tide: The Devastating Impact of the Gulf Oil Spill, Antonia Juhasz, fifth-generation fisherman Colin Sproul, vice president and spokesperson for the Bay of Fundy Inshore Fishermen’s Association and Peter Puxley, an economist and former CBC investigative journalist were guest speakers. 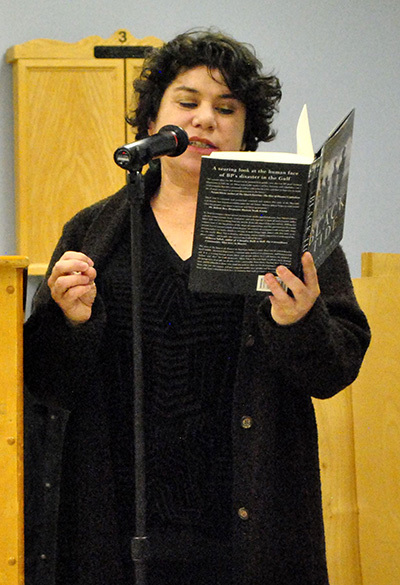 Award winning investigative journalist and author of Black Tide: The Devastating Impact of the Gulf Oil Spill, Antonia Juhasz, reads a passage from her book at the Lunenburg meeting of the coastal speaking tour in Nova Scotia that took a hard look at the risks of petroleum exploration in offshore Nova Scotia. Contributed photo. 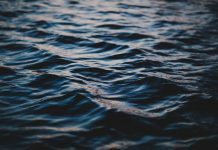 “Antonia basically provided the kind of information you would unfortunately expect when someone really evaluates the damage that was done to the Gulf of Mexico in 2010 when that horrible spill occurred,” said John Davis director of COAC. 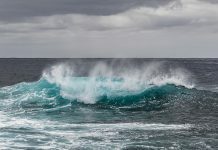 The spill was devastating to the marine environment and commercial fisheries in the Gulf of Mexico, killing as many as five trillion larval fish, up to 20 per cent of the Kemp’s ridley adult female turtles, and exposing at least 93 species of birds and “nearly all of the populations of dolphins and whales in affected areas have demonstrable, quantifiable injuries,” Juhasz told those gathered in Lunenburg. 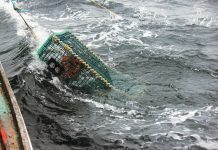 As for the commercial fishery, according to statistics from the National Ocean and Atmospheric Administration (NOAA) Gulf-wide catches of oysters declined by 6.6 million pounds between 2009 and 2016, while Gulf shrimp catches declined by 37.5 million pounds during the same period. 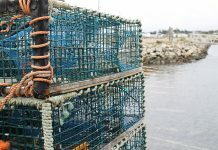 Over the same time period, the percentage of U.S. oysters from the Gulf fell from 61 per cent to 45 per cent, while Gulf shrimp declined from 81 per cent of the U.S. total to 72 per cent. With a “carpet of oil” remaining on the ocean floor the devastating impacts to the marine eco-system continues. “One of the most disturbing ongoing impacts” are beached whales, said Juhasz in an interview, something that was “not common” prior to the Gulf oil spill, according to local residents. “Now they are seeing beached dead juvenile whales much more frequently and based on the studies on the overall impact of the oil spill on the Marine eco-system, they are starting to feel confident and concerned this continues to be the ongoing impact of the oil still migrating its way through the food system and being bioaccumulated in the food system to the top of the food chain, which is whales. 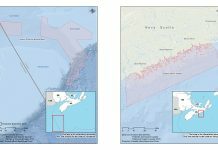 With BP Canada Energy Group ULC approved to drill as many as seven exploratory wells in the Scotian Basin between 2018 and 2022 in waters twice the depth of the BP New Horizon Well that blew in 2010 in the Gulf of Mexico, if a similar event occurred in offshore Nova Scotia, “Our reputation as the world’s best seafood producer would be forever ruined,” said Sproul. 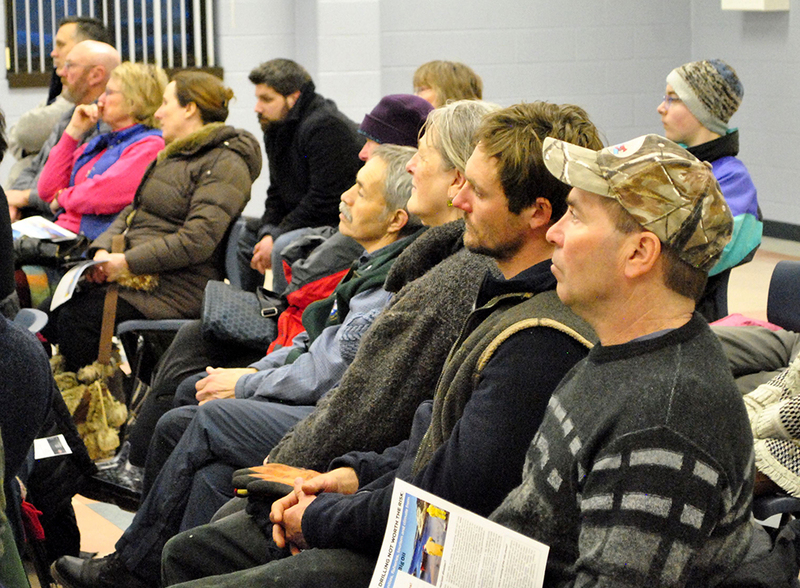 People listen to a speaker during the Lunenburg meeting of the Council of Canadians coastal speaking tour in Nova Scotia last month. Contributed photo. 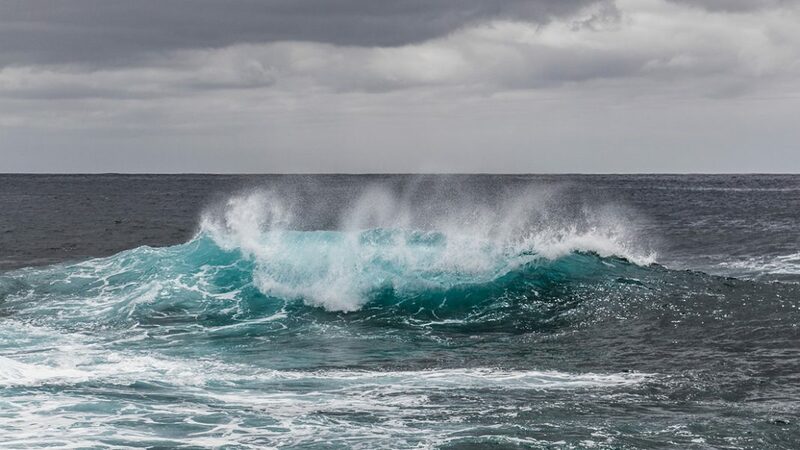 “I don’t think it can be underestimated how different it is here from the Gulf of Mexico and there is no precedent for drilling in water this deep in conditions this harsh and this close to possibly the greatest spawning grounds on the face of the earth,” said Sproul. 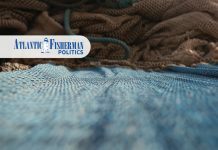 “My job is to get the best deal for fishermen and that’s no drilling on the Scotian Shelf. In the end we deserve the protection the Norwegians afford their fishermen,” by having all the necessary safety equipment site including a cap and stack, used to temporarily cap an undersea well when a blowout preventer fails. According to BP’s safety plan for drilling on the Scotian shelf, the cap and stack will be two weeks away in Norway. Previous articleWhere is the Outcry to Offshore Petroleum Drilling?